Being a recent transplant to the west coast, I will be experiencing the joy of traveling back home to the East Coast for Christmas. I did not book my flights until about a week ago so finding an affordable flight was going to be a pain at that point. Getting a flight from LAX to EWR round trip was well over $800-900 whereas I have paid on average in the $300 range other times. This called for some desperate measures using Google flights to come up with better options! This would require transporting myself to a further away airport but potentially yield several hundred dollars in savings. 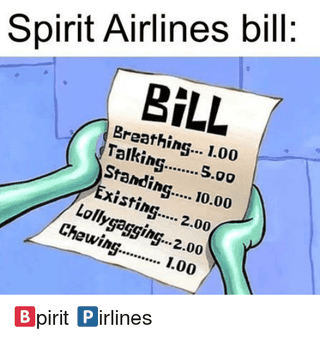 What I ended up finding were direct flights from Las Vegas to Philadelphia on Spirit Airlines for $358, leaving Friday afternoon and returning Monday night. I have barely any vacation time since I took two weeks off to drive across the country so I was also restricted to the shortest window of staying on the east coast. This of course only has the issues though of how do I get to Las Vegas from Los Angeles and how do I get from Philadelphia to Central NJ. Well there is no train to Vegas (because public transit is EVIL) but there are quite affordable busses! I had originally planned on driving but between gas and parking, that cost was already over $100 round trip and pretty close to just booking additional flights from LAX to LAS. Then I researched busses that don’t take a whole lot longer than driving and cost $30 each way, $60 round trip. Much better! I booked greyhound out of North Hollywood since there is a bus that goes straight from my apartment to that bus on a dedicated lane, kind of like a fake light rail. The final part of my journey will be driving a rental car from PHL to go see family. I managed to find a deal with priceline for $148 through Alamo for the weekend. Considering when I was looking at flights into JFK and EWR and rentals there were $600+ for the same period, this seemed like an okay deal. Overall I’m going to have to jump through A LOT of hoops and any sort of weather delays will really screw me up. But at least I’m not spending an arm and a leg to deal with it. For the future, my plan is definitely to just go home a different week. My family will be just as happy to see me in January instead! Hoping it goes smoothly enough but I won’t get my hopes up.